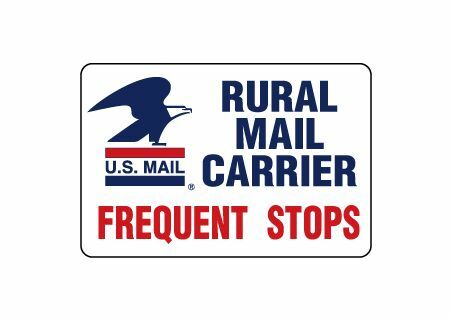 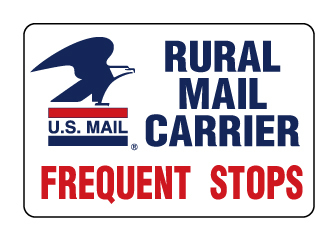 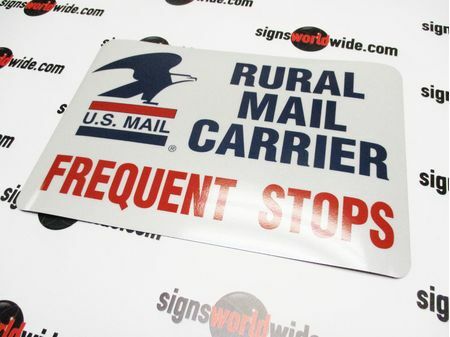 Get this 12"h x 18"w quality "(U.S. Mail LOGO) RURAL MAIL CARRIER, FREQUENT STOPS" magnetic sign and protect yourself during mail delivery by letting drivers know about your frequent stops. 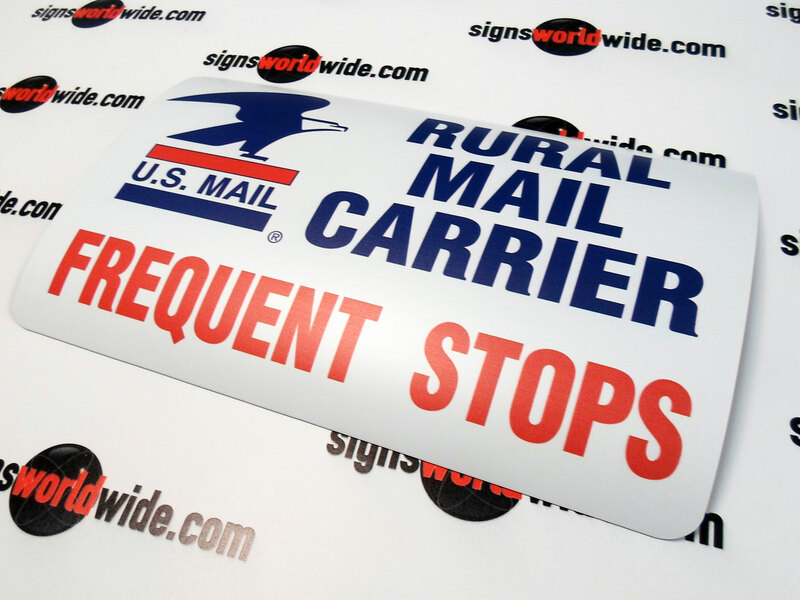 This red white and blue magnet is available with laminated and reflective options for extra durability and even better visibility at night. Quantity discounts are available for those purchasing for multiple decals.